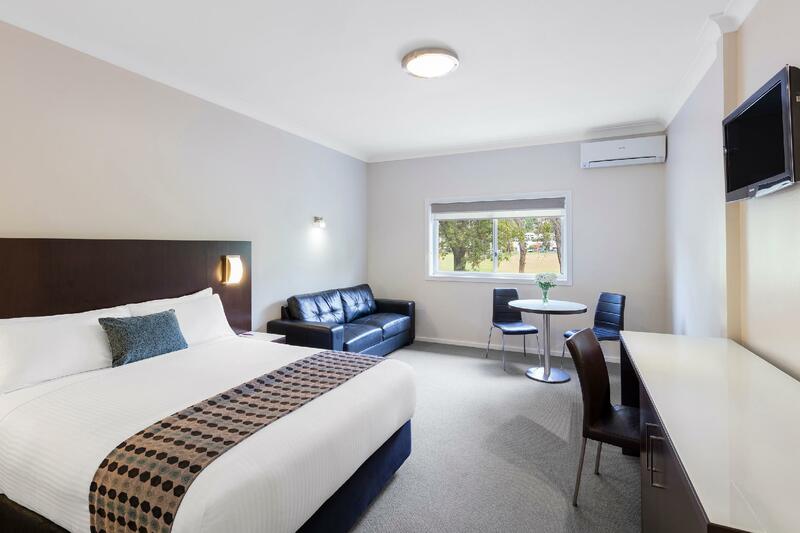 إذا كنت تبحث عن فندق بموقع جيد في واجا واجا، فقد وجدت ضالتك في Mercure Wagga Wagga Hotel . لا يبعد الفندق كثيراً عن مركز المدينة، فهو يقع على بعد 0.5 KM منها. في حين يستغرق الطريق منها إلى المطار حوالي 15 دقيقة. يوفر الفندق بفضل موقعة الجيد وصولاً سهلاً إلى أهم معالم المدينة.
. يعرف Accor Hotels بالمستوى الراقي لخدماته ولباقة موظفيه، وهذا ما ستجده في Mercure Wagga Wagga Hotel. إن واي فاي مجاني في جميع الغرف, خدمة التنظيف يوميًا, خدمة غسيل ذاتية, مرافق مخصصة لذوي الاحتياجات الخاصة, تخزين الأمتعة هي جزء فقط من الخدمات التي تميز Mercure Wagga Wagga Hotel عن باقي الفنادق في المدينة. 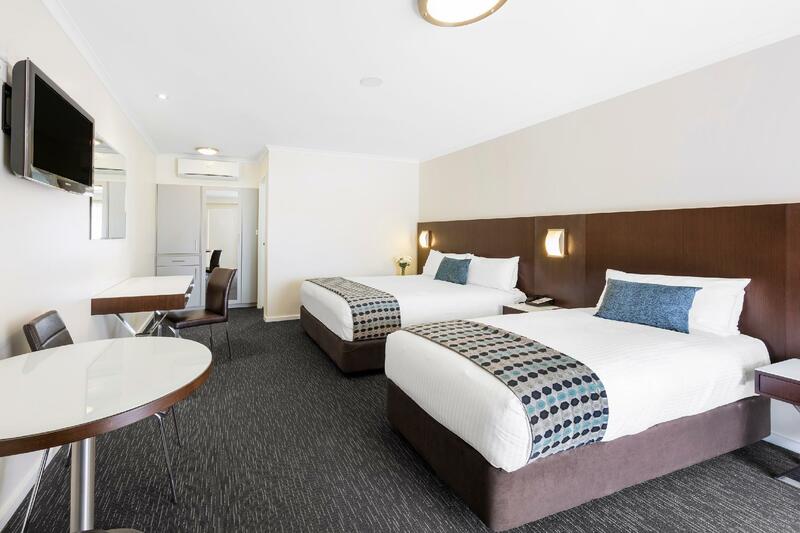 تنعكس أجواء Mercure Wagga Wagga Hotel في غرف الضيوف.تلفزيون بشاشة مسطحة, حوض الاسترخاء, غرف لغير المدخنين, مكيف هواء, تدفئة هي بعض الميزات الموجود في العديد من الغرف. يقدم الفندق خدمات رائعة كمثل مركز للياقة البدنية, حمام سباحة خارجي, تدليك لمساعدتك على الاسترخاء بعد نهار طويل من النشاط والتجوال في المدينة. 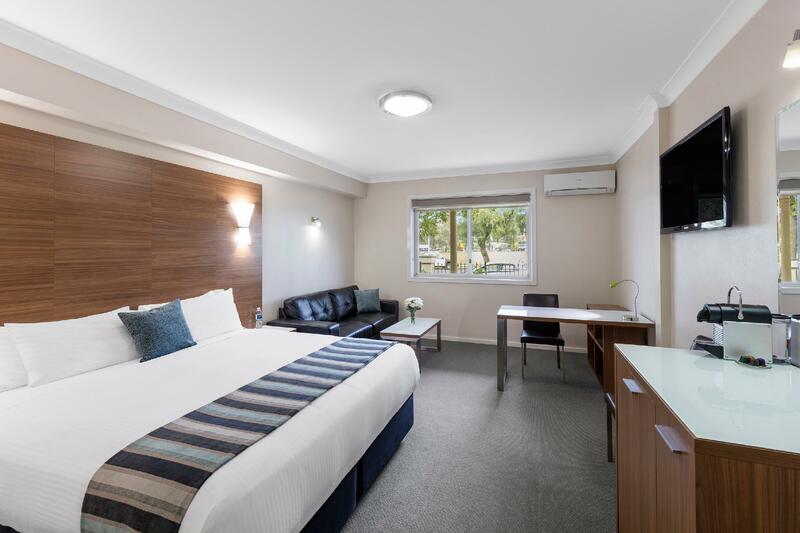 إن Mercure Wagga Wagga Hotel هو مكان مثالي للمسافرين الذين يتطلعون إلى الراحة والاستجمام في واجا واجا. The entry to room door were not that sound proof, could hear noisy guests arriving home late. Could hear people upstairs jumping up and down. 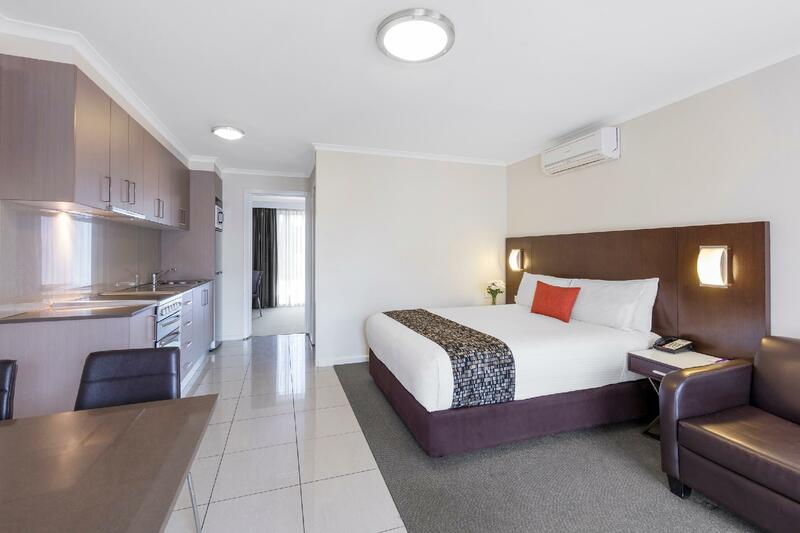 Very nice hotel, no major frills - but lovely service and central within Wagga. If you're travelling through like we were, definitely a good option. Great little hotel, with very convenient motel-like room access. As travellers, being able to park our car right outside our room meant that accessing gear was a non-issue. The room itself was quite nice, and well appointed. Everything was clean, and nothing appeared to be broken, which is a great start in my books. it's good for short business trip. The room is very comfortable. Staff performance is well presented. Clean modern comfortable room. Friendly and helpful staff. Great location. 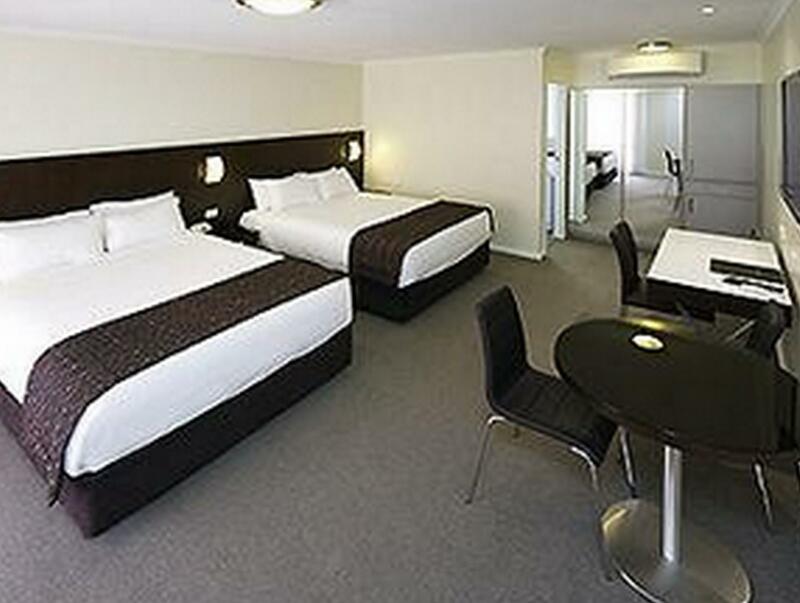 Great hotel that offers excellent value for money and is well located close to the centre of town. Our room (207) was comfy, well appointed, modern decor, and was a large room. Plenty of free parking on site. Breakfast (fee) was great with continental and hot buffet options. Staff were friendly, attentive and helpful. 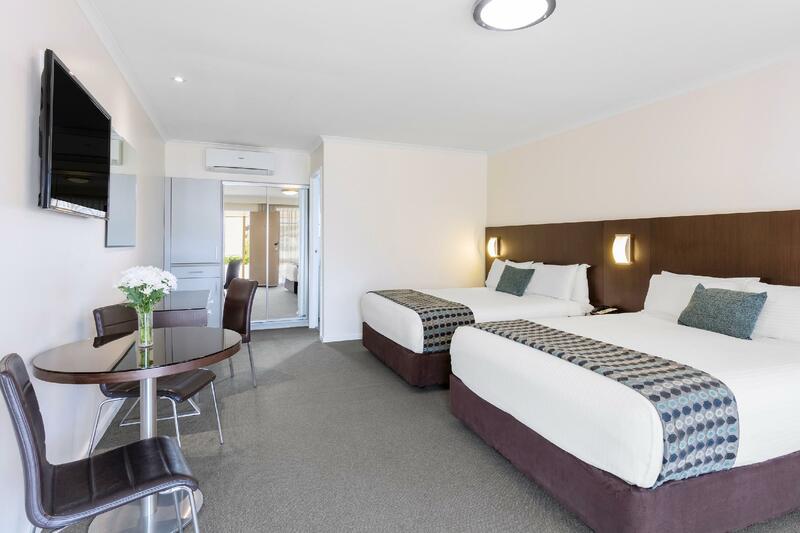 We would stay at Mercure Wagga again. Overall okay. Receptionist not very welcoming. Not the staff at breakfast. Look like neither receptionist not our seater to our tables looked like they enjoy there position. We were left at the reception desk as the receptionist was feeling sick and literally walked away and didn't say anything. Had to ask the other receptionist what the hell was going in and keep the other girl so long to get us a checkout RECIEPT. Great. Had everything I needed. Clean rooms. Great location. Friendly helpful staff. It was a pleasant experience staff friendly very clean food hot & tasty & a view across to the park.